To see a potato in a dream means that chance and happiness will turn to you. If you see a small potato in your dream, it refers to luck. To see a big potato in your dream implies an update which will be concluded favorably in terms of emotional or financial thing. To see a potato in a sack in your dream indicates that your destiny which changed positively in a short-term and your point will be envied by many people and they will try to give harm to you. To fry potato in your dream may imply that money will come from a chance game. To see fries in your dream represents that you will pay off your debt with money which will come from chance game or gambling. To dream that you peel potato signifies that a bad relationship or friendship will turn into old days again thanks to you. If you see that another person peels a potato in your dream, this dream tells that a bad relationship or friendship will turn into old days again thanks to the opposite person’s efforts. To see of eating potato in a dream means that famine, shortage and saving period will come to an end. If you eat a raw potato in your dream, it signifies that you will lose a part of your financial possession because of your rashness. 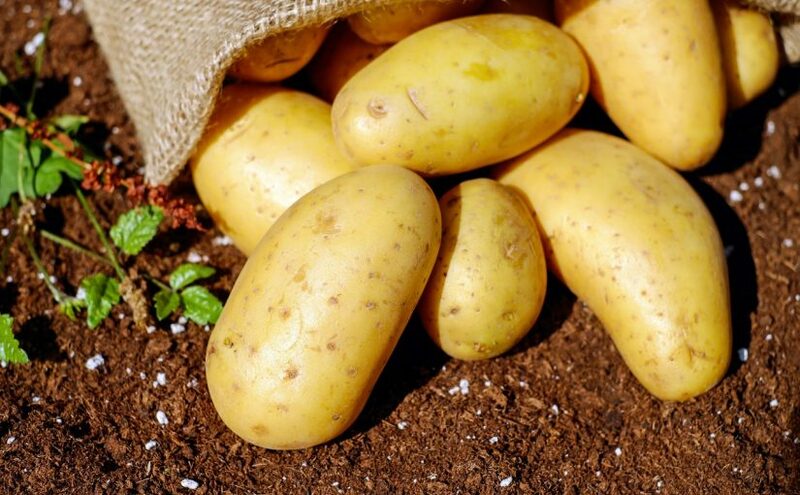 To see that you collect potatoes in your dream symbolizes that you will be rewarded for your efforts, you will have a good grade from your exam. To see that you plant a potato in your dream denotes that you should reserve some amount of money for difficult days. To see of buying potato in your dream means that you will hire an assistant and share your profit. You will study an important exam with your friend and be successful. To see of selling potato in your dream indicates that you will undertake a job which nobody wants to do, be successful easily. To see a rotten potato in your dream refers to starting a relationship again or a job again.